My husband and I were taking a ride through a rural area in my convertible, and I wondered aloud about the length of my hair. Is it too long? Do I need a haircut? I ran inside a thrift store while my husband waited in the car. 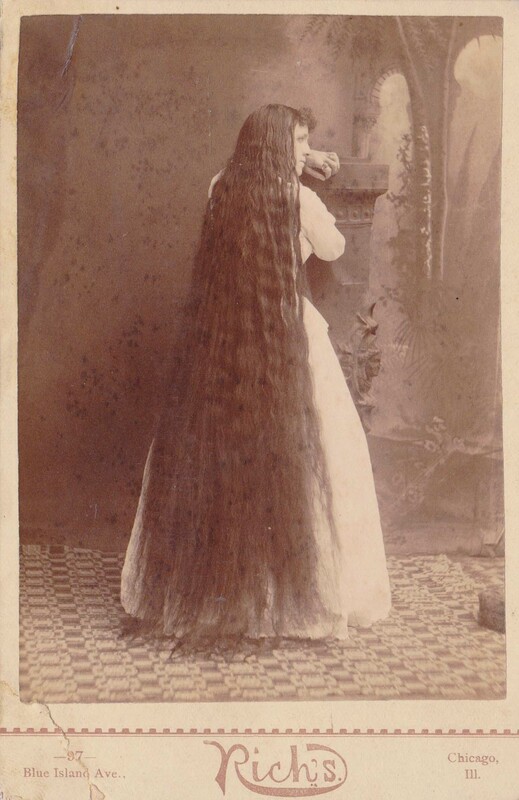 I found this photo–I have never seen hair that long! The irony! I snapped it up and ran to the car. My husband looked at it and said, “Wow, she really needs a haircut”.